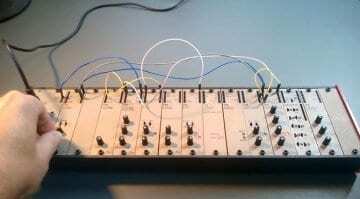 Birdkids have been working on what they believe to be the synthesizer they’ve always dreamed of making. 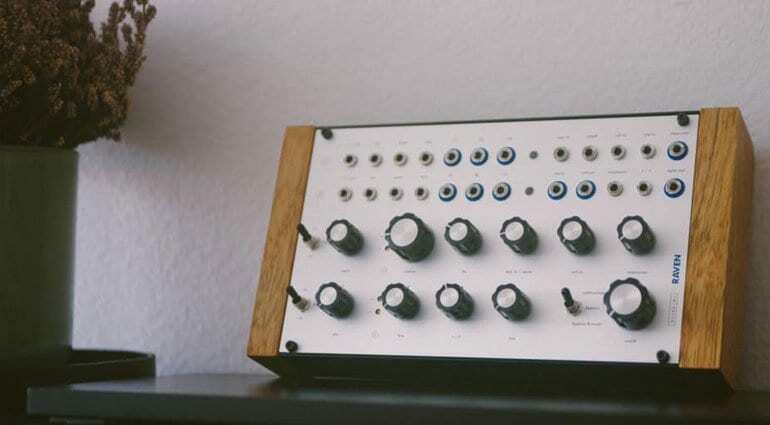 All their work in modular synthesis so far has brought them to this point and now they are ready to invite people to preorder the RAVEN synthesizer. The make-up of RAVEN is pretty straightforward. 2 voltage controlled oscillators, the voltage controller filter from their “TheBateleur” Eurorack range and 2 voltage controlled amplifiers. One is a high-performance THAT2162 BlackmerⓇ VCA and the other an Optocoupler VCA reminiscent of legendary West-Coast designs. 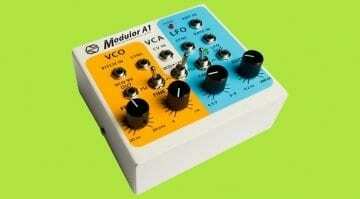 The VCF can be bypassed and used as a 1v/oct self-oscillating third voice if you wish. There are inputs are available for FM, pulse width, sync, oscillator crossfade, filter cutoff and resonance, VCA and for an external source. On the output side you have individual outputs on the waveforms (saw, triangle and pulse), noise, filter and an output from each VCA. You’ll find all the controls you’d expect on the front panel. It’s looking really nice, although you can’t help but wonder why there’s no envelope or modulation. I guess it relies on a bit more modular to make those sorts of connections. To rectify that a little bit they are offering RAVEN in a bundle with their own envelope generator. 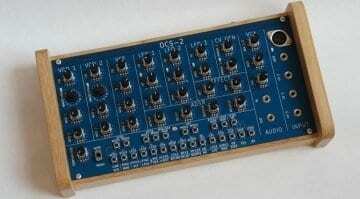 It should also be noted that this is a Eurorack module – or at least as far as I can tell. 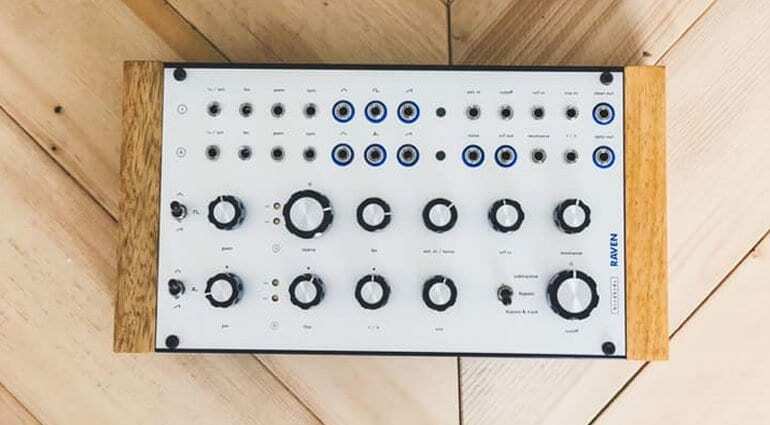 They talk a lot about it being a synthesizer and many of the images show it in a box by itself but they also offer it in a bundle with a Eurorack power supply and MIDI module – so you are going to need a case. 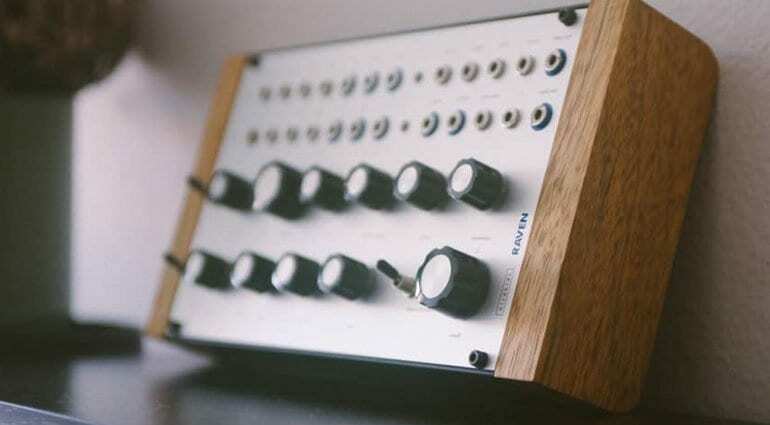 They stress that it’s 100% analog and their aim is to combine simplicity with infinite flexibility. 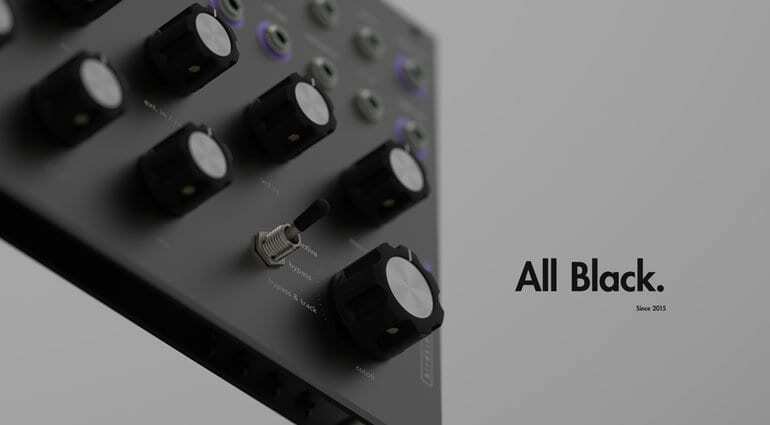 There are CV sockets at every point in the signal workflow and every component can be used as a standalone module. The “Early Bird” price is €549 and they estimate delivery by June next year. The goal of just over £33,000 is modest but they still have a way to go with 20 days left. 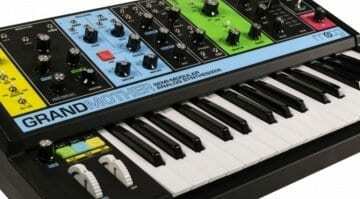 It sounds brilliant and I am really liking the front panel design and colouring of sockets. Let’s hope they attract enough attention.